Your Association has recently received a bequest from Graham Cadwallader’s estate. Graham was a great supporter of the Association and he will be remembered for years to come. Firstly…share your plans with your family, so they understand your intentions. Secondly…speak to your solicitor and discuss your options. There are several different ways you might choose to leave a gift to the Association. 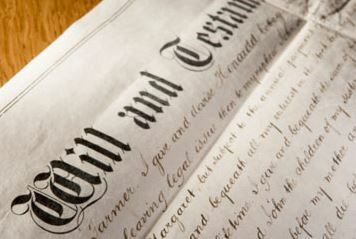 For example, you might want to leave the “rest and residue” or what is left after making provision for your loved ones, a percentage of the total amount of your estate or a percentage of the residue. Please discuss these options with your solicitor. There was an Able Seaman called Trevor Clarke on Endeavour who had bequeathed a keg of beer to the Junior Rates messes at Irirangi and Philomel. John was a keen deerstalker and was known as “Crumpy”. He used to volunteer to go up the foremast to the crows nest on Endeavour to do lookout going through the ice. Nothing unusual about that except he used to do it in his bare feet. RIP Crumpy and Caddie. Is this the same fella that died from pneumonia in hospital? If my memory serves me correctly, Crumpy was posted to Irirangi, but ended up in Taihape Hospital with something else wrong with him, but died of pneumonia while an in-patient. Crumpy was as you say in hospital with pneumonia when he developed a boil on his backside which burst inwards poisoning his system, very sad but but he must have had an inkling to his demise as he had recently acquired a unique coffin lid which was ultimately used. I met Crumpy on Endeavour’s Island cruise in 1966. He obviously got his nick name from sounding like the famous Barry Crump and he had such a dry humour. He talked of his bequest of a ‘hogshead” for the boys at Irrirangi . Some how he had a stash of venison in the ships cooler and cooked the odd venison stew on his primus during the middle.